Mr. Lutke wasn’t. He was at Shopify’s new downtown Ottawa headquarters, awaiting a visit from a Wall Street investment banker to pitch the hot retail software company on underwriting its impending initial public offering. Instead, the banker came to Shopify’s Toronto office, thinking the company was based there. “It just goes to show people are a bit surprised when you build a company in Ottawa,” Mr. Lutke says. It’s a sobering reminder just how far a city once labelled “Silicon Valley North” has fallen off the map as a tech hub. Fifteen years ago, at the height of the dot-com bubble, Canada’s capital was a global high-tech hot spot – the nerve centre of then-mighty Nortel Networks and headquarters of other high-fliers in the race to build the Internet’s global infrastructure, including JDS Uniphase and Newbridge Networks. High-tech employment in 2001 stood at almost 80,000 locally, by one estimate, double the level five years earlier, and venture capitalists plowed more than $1-billion into Ottawa tech companies. “The market was out of control, and we’ll never see [anything like it] again,” says Ottawa corporate lawyer Debbie Weinstein, who took many of Ottawa’s 1990s tech stars public. That era is long gone and, for many here, best forgotten. Most of the city’s flagship tech companies of that time have downsized, disappeared or sold to foreign multinationals. Nortel is no more. There’s no direct flight from Ottawa to San Francisco. The city hosts more than 1,700 technology companies, but no Ottawa-based industry giants. “We had our limelight and have not regained it,” Ms. Weinstein says. But the rise of Shopify – Ottawa’s most valuable publicly traded company following its May IPO – “has brought a great sense of pride to the city as well as a sense of renewal and renaissance for the high-tech sector,” says Ottawa Mayor Jim Watson. Shopify is adding hundreds of employees annually and has created many paper millionaires, some of whom are starting their own companies or backing other entrepreneurs. It has inspired other local startups such as You.i TV, Klipfolio and Pagecloud, whose founders don’t sound at all like the city’s defeated business boosters of a decade ago, but cocksure, would-be world-beaters. Ask Pagecloud founder Craig Fitzpatrick what his ambition is, and he replies: “I want to fix the Internet.” His flagship product, which promises to make web page design as easy as building a PowerPoint presentation, hasn’t been released but he’s already raised $6-million from investors and is booking $200,000 in monthly orders. “We’re going to replace WordPress” – the leading web design tool – he predicts. There may be a rumble of excitement among early-stage tech firms, but Ottawa’s renaissance is likewise in its early stages, notwithstanding Shopify’s success: Missing is a wave of heavily-financed startups lined up right behind it and on the cusp of massive breakthroughs and big IPOs. There appear to be plenty in Vancouver, Toronto and Waterloo, Ont. 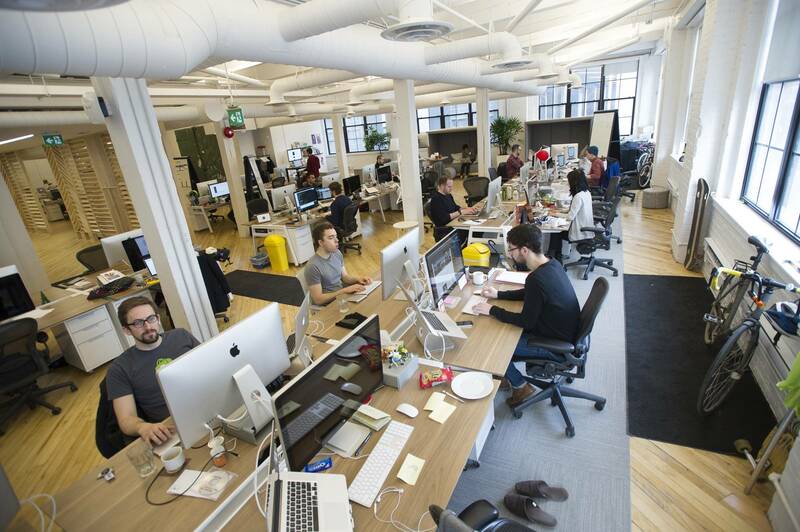 Ottawa’s most promising startups seem to be two to three years behind Shopify at best. Ottawa has some catching up to do, although some are convinced the ingredients are here to create a serious tech sector revival. “I think Ottawa is Canada’s most underestimated ecosystem,” says Ron Warburton, managing partner of the Business Development Bank of Canada’s $100-million IT Venture Fund. That’s because Nortel Networks dominated the city’s high-tech scene for decades. Its affiliates, notably Bell-Northern Research, employed thousands of engineers. Many left to start their own telecom equipment companies, including Michael Cowpland and Terry Matthews, who co-founded Mitel Corp. in 1972 (and later Corel Corp. and Newbridge Networks, respectively), and Jozef Straus, who co-founded JDS with three fellow BNR engineers. Others, such as business software firm Cognos and companies in life sciences and defence, showed there was more to Ottawa’s tech scene, but the buzz around town peaked in the 1990s as the Internet went mainstream. “Ottawa had a telecommunications expertise at a time when the world said: ‘We want to connect all these random computers,’” says Bruce Lazenby, head of local economic development agency Invest Ottawa. Venture capital melted away from the city, and few of those individuals who had made money in tech actively reinvested in the next wave of startups, observers say. Mr. Paquin was right: Ottawa wasn’t Silicon Valley North at all. While it had Canada’s highest concentration of scientists and engineers, it lacked a culture of daredevil risk-taking, a broadly held willingness to bet on speculative technology that could change the world on a massive scale. Instead, the government – which had fostered the tech scene’s local growth decades earlier – was hiring, so many abandoned the private sector. “When Nortel failed, a lot of people just thought, well, that’s the end of technology,” Mayor Watson says. As Ottawans bemoaned the collapse of their tech sector, a different group of entrepreneurs was arriving on the scene. Some had cut their teeth at Nortel. Some came as students. Others followed their hearts, including German-born Tobi Lutke, who arrived in 2003 with future wife Fiona McKean, a Canadian diplomat he met during a snowboarding vacation. These young entrepreneurs who launched tech companies in the mid-2000s were “digital natives” who saw countless opportunities to take advantage of the new possibilities offered by the Internet and smart mobile devices. They were largely immune to the malaise that pervaded Kanata, on the western fringe of the city where much of the tech sector was located. As a new arrival, Mr. Lutke had no sense of the local sector’s history and retrenchment. “Our crowd didn’t at all intersect with the Kanata crowd,” he says. Ottawa has produced several prominent business software companies over the years, including Cognos and Corel. The next may by Klipfolio. The firm provides cloud-based digital dashboards for business customers, displaying key data on one screen to help users with timely decision making. Klipfolio has been growing by more than 100 per cent a year since launching its cloud product in 2012 and now generates between $5-million and $10-million in annual revenue. It has nearly doubled its staff to 48 people in the past year, adding two former Cognos executives, including chief marketing officer Mychelle Mollot. “Ottawa is awash in business intelligence talent,” chief executive officer Allan Wille says. Klipfolio has 3,500 customers and 15,000 individual license users and a customer retention rate above 99 per cent. The Ontario Municipal Employees Retirement System led the firm’s $6.2-million series A venture financing round this year. This Ottawa software company, which is helping TV broadcasters navigate the widespread disruption across their industry, recently scored one of the city’s biggest venture financings of the year, raising $15-million from U.S. private equity giant Kayne Anderson Capital Advisors to help supercharge its already rapid growth. The company, whose software engine enables broadcasters to build user interfaces so viewers can watch programs on computers, smartphones or any other connected device, quadrupled in size to $10-million in revenue in its last fiscal year and expects to double it this year. “We want to work with the companies that want to change the future of TV,” CEO Jason Flick says. This software company, which helps companies manage remote employees and freelancers, eats its own dog food, founder Liam Martin says: While the former national-level pairs figure skater and a handful of other employees are based in Ottawa, his co-founder is in Australia, the development staff is in Eastern Europe, customer support is in the Philippines and other employees are located in Egypt and the United States. His director of product recently did his job for three months in Bali. “We want to empower people to work wherever they want, whenever they want,” Mr. Martin says. The company is taking in more than $1-million annually in revenue and doubling in size every year, handling $100-million worth of payroll through its platform. Two words: bitcoin ATMs. The Ottawa startup makes automated teller machines that allow users to turn cash into virtual currency bitcoins and vice versa. (Customers use their smartphones, not bank cards.) The company has deployed 65 machines to locations in 11 countries, where they have been turning heads. The company’s founders went through Silicon Valley’s famed Y Combinator startup accelerator program last year and have their eye on catering to the billions of adults who lack bank accounts – but do have smartphones. They acknowledge the ATM machines are an experiment for now, and say the company is still trying to figure out its end goal. Ultimately, many of the city’s emerging entrepreneurs found the support they needed from each other. In 2006, a common contact invited Mr. Zaid and Mr. Lem to meet at a Byward Market café. They hit it off. This was the networking group they were looking for: fellow entrepreneurs who were willing to share their struggles, valuable insights and advice. They agreed to meet every month, and began inviting other young entrepreneurs to join the group, which eventually became known as Fresh Founders. Many found it was the only networking group they cared for. “It’s authentic, it’s real, it’s not just a bunch of suits, and you’re not being sold every time you go,” says Jennifer MacKinnon, founder of web development firm Fenix Solutions and one of the group’s few female members. One early Fresh Founder, Aydin Mirzaee, proved adept at recruiting others. Lawyer-turned-entrepreneur Mr. Finkelstein had sold Mr. Mirzaee T-shirts when he worked at Nortel as a software engineer; Mr. Lutke was a patient of Mr. Mirzaee’s dentist uncle. “I went there and just loved it,” Mr. Lutke says. “There was something magical, it was hard to describe.” Through Fresh Founders, the Shopify CEO came to know and hire Mr. Finkelstein, bought another member’s company and recruited a third as a senior executive. 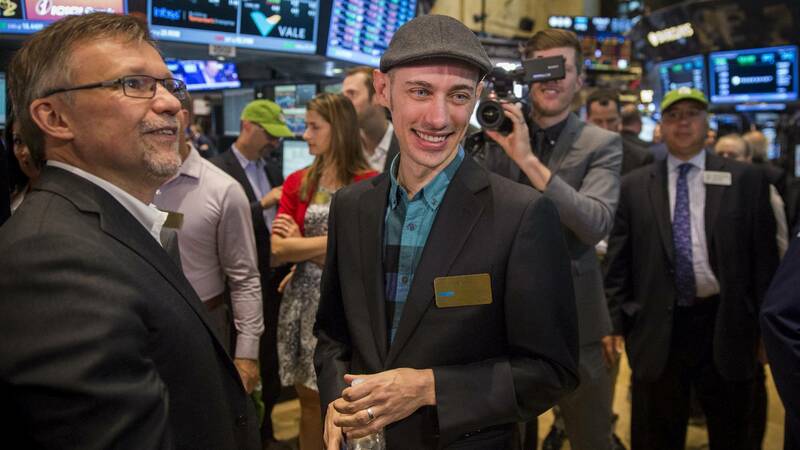 “Shopify wouldn’t have happened without Fresh Founders,” Mr. Lutke says. To those exiles who complained, Mr. Lem replied: If you really want to be in Fresh Founders, you’ll find a way back in. One of those was Mr. Davis. Despite the initial slight, he agrees with other Fresh Founders: The group benefited from the cull, as overall interest and engagement by remaining members subsequently improved. Along the way, the lonely young entrepreneurs of a decade earlier became the core of a renewed, emerging Ottawa tech scene. Mr. Zaid’s Apption was named one of Canada’s fastest-growing companies by Profit Magazine (he has since relocated to San Francisco to build car-sharing service Getaround). Fresh Founder Luc Levesque sold his travel blogging company TravelPod to TripAdvisor and became head of the U.S. company’s search engine optimization business from Ottawa. Mr. Mirzaee’s Fluidware developed an online survey service for government and business customers, and sold out to Silicon Valley darling SurveyMonkey in 2014. Mr. Lem’s company partnered with Canon to commercialize its DNA testing device. And Shopify became one of North America’s leading subscription software firms, and Canada’s hottest public tech company in years. This burgeoning class of upstarts was bound to run headlong into the city’s old guard. Shopify advertised at career fairs in the late 2000s with signs reading “Be Awesome, Don’t Work in Kanata,” and brashly set up a recruiting booth by IBM’s Ottawa office when the tech giant laid off workers in 2013. Bruce Lazenby knew there were bridges to build when he took the helm of the Ottawa Centre for Regional Innovation four years ago. 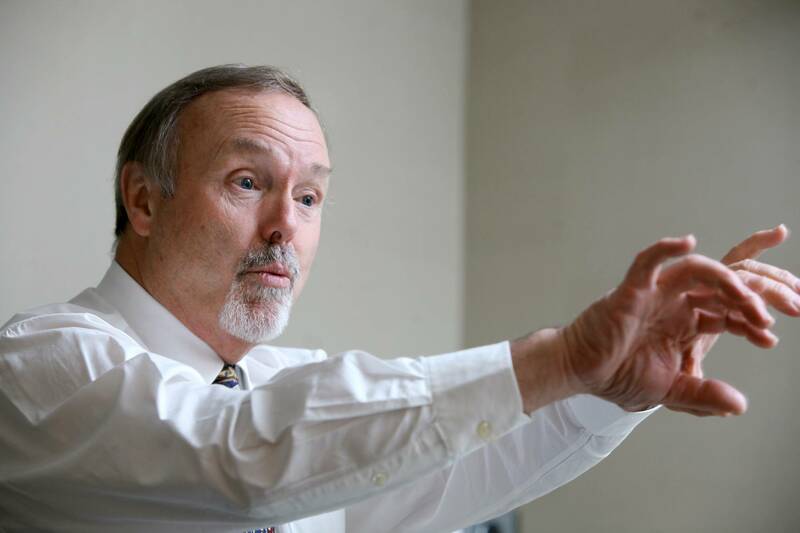 The take-charge former Air Force pilot and tech executive was aware that the publicly funded umbrella group held too many events that “don’t create jobs except for event organizers,” he says. Mr. Lazenby asked his staff who hated OCRI the most: The answer was Shopify. So, he met with its young leaders, where he received blistering criticism – Mr. Lutke in particular felt it existed “to run golf tournaments for lawyers.” Mr. Lazenby asked them to be patient. He changed the organization’s name to Invest Ottawa and refocused its mandate on promoting economic development and encouraged local tech organizations to work together rather than against one another. “Our role is to enable the ecosystem, because it’s the ecosystem that creates jobs,” he says. Mr. Lazenby led efforts to secure federal funding for a local centre of excellence focused on “next generation networks” and recruited Canadian-born Silicon Valley tech executive Code Cubitt to move to the capital and start a venture capital fund. He even persuaded Mr. Lutke to join Invest Ottawa’s board. To make his point, Mr. Matthews dials up an executive at one of his affiliated companies about one kilometre away. On a bank of giant screens on his wall, the man appears on video. “Do me a favour Mike, we need to look at a spreadsheet – quick! Like, immédiatement,” Mr. Matthews says impishly, informing him that a reporter is watching. “Toss whatever’s on, you know, something that’s sensitive. Like, you’re probably watching dirty movies right now.” A business slide pops up on the screen. Mr. Matthews thanks him and hangs up. At 72, Mr. Matthews doesn’t appear to be slowing down. His holding company, Wesley Clover, owns stakes in more than two dozen tech companies and controls about three million square feet of Kanata real estate. Although the office vacancy rate in Kanata is stuck in the mid-teens, Mr. Matthews isn’t dwelling on the past. He’s all about the future, and the future, even in Kanata, is increasingly about software. Software firms Halogen Software Inc. and Kinaxis Inc., both in Kanata, went public in the past two years. Meanwhile, modern telecom networks are increasingly being driven by software. As it turns out, Mr. Matthews’ future investment success is as much tied to software as Mr. Lutke’s. Nowhere is this more evident than at Mitel, which he bought back into in 2001. Mitel has for decades supplied in-house land-line phone systems and related equipment to enterprise customers. 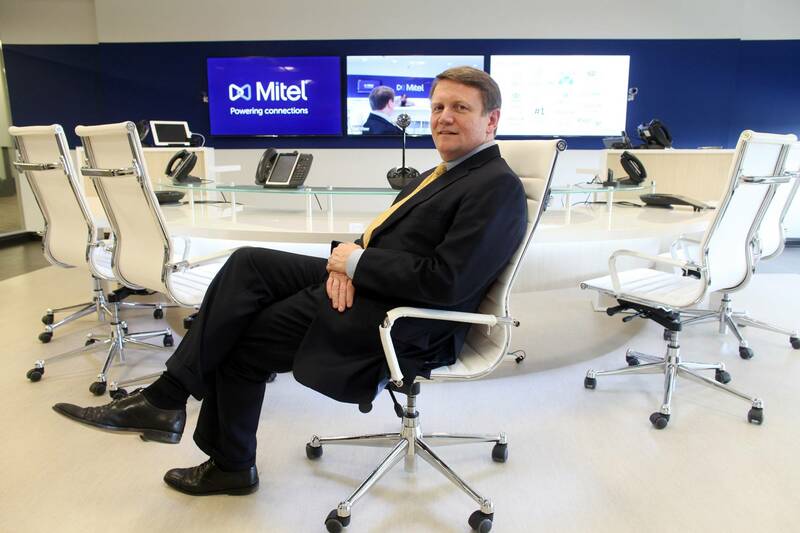 The land-line business has been stagnant, so Mitel has been consolidating other players, increasing its reliance on software: Mitel expects to derive two-thirds of revenue from software within two years, up from less than 40 per cent when CEO Richard McBee joined in 2011. Other Ottawa telecom hardware veterans have embraced the software shift. Peter Rose, who held senior finance roles with Ottawa tech hardware companies for two decades, decided recently he’d prefer to work for a software company, where he didn’t have to spend all his time “managing inventory and working capital.” So last year he joined You.i TV, whose software helps TV broadcasters build user-friendly platforms for digital media.